These charter members and those who joined the guild in those early years organized the guild in much the same manner as practiced today. 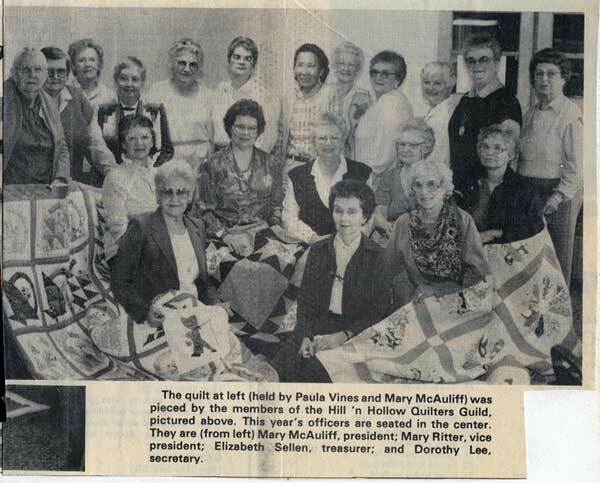 Hill ‘N Hollow Quilters Guild members are encouraged to take a look at the Guild’s history in photos on DVD for the years 1984 through 2008 available from the Guild Library. 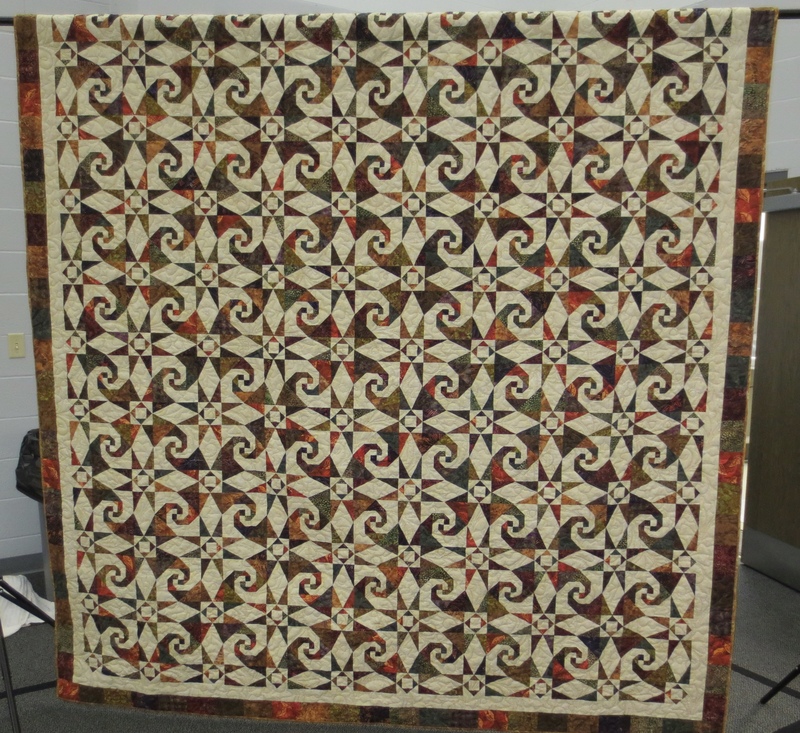 The photos will show these early members who worked hard to put on quilt shows, do community service projects, and generally teach each other and the community about the art of quilting. We owe them a big THANK YOU!